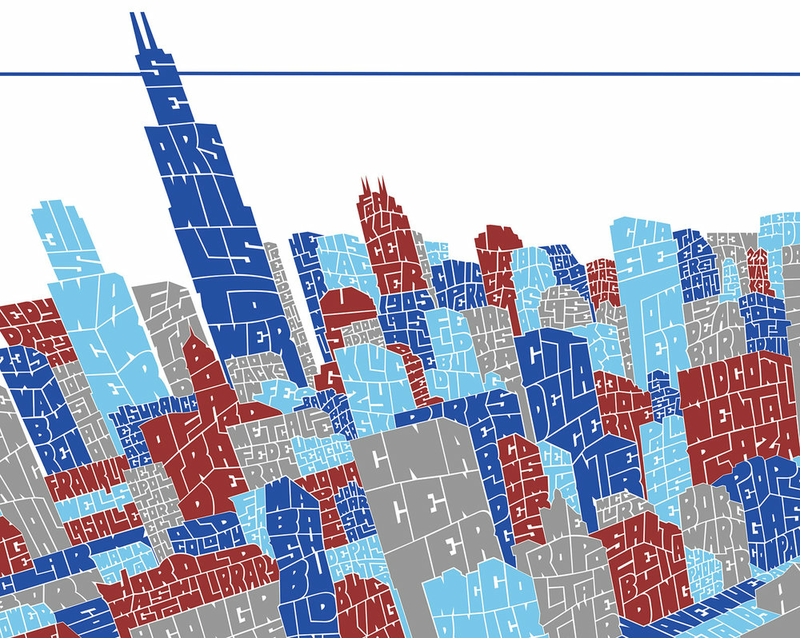 After selling out of the first Chicago Typography Skyline, I decided to take this illustration in another direction. Instead of focusing on the view of the skyline from the horizon, I used an aerial view of the city to capture as much of the architecture in the Loop and around Grant Park as possible. Over 250 buildings, streets, sculptures, parks and landmarks are represented in this calligram. Click here to purchase a 11.75″ x 36″ limited edition screen print of this illustration for $40.00.